The International Pharmaceutical Federation (FIP) has been in official relations with the World Health Organization (WHO) since 1948. As such, over the years FIP has made considerable strides in its partnership with the WHO in order to expand initiatives that evolve FIP’s ultimate goal — improved well-being and health. FIP is in a unique position to advocate for pharmacists’ and pharmaceutical scientists’ roles in the global health agenda. Since the WHO’s creation FIP has held the status of “Non-Governmental Organisations (NGO) in Official Relations with WHO”. FIP can therefore speak at the meetings of the governing bodies of the WHO. 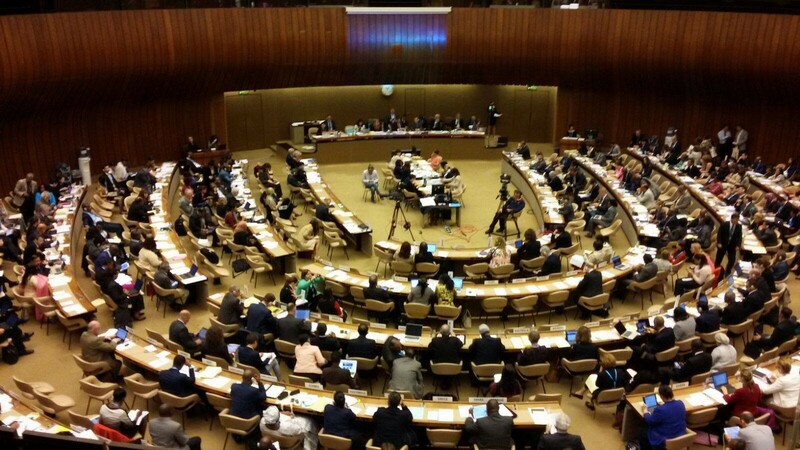 The highest governing body of the WHO is the World Health Assembly (WHA) — the general assembly of member states, represented by their minister of health or other officials. It is held each May. Similarly, in January each year, FIP speaks at the WHO Executive Board (EB). This consists of 34 countries elected by the WHA. FIP takes an active part in the technical work of the WHO. FIP represents the priorities of its members, pharmacists’ and pharmaceutical scientists’ organisations worldwide, and works towards utilising their full potential in the right places. For example, at the WHO Expert Committee on Specifications for Pharmaceutical Preparations, FIP contributes with technical expertise to the review of large number of guidelines relating to quality assurance adopted as international standards. During the World Health Assembly and WHO Executive Board meetings, FIP delivers interventions at various points of the agenda. Past statements are available here. Together with the WHO, FIP has produced joint publications on topics including children-specific preparations and good pharmacy practice . More joint- publications here. Collaboration of FIP and the WHO on teaching concepts to improve learning about patient safety resulted in the Multi-professional Patient Safety Curriculum Guide, where FIP was invited to write a foreword. Mark World Health Days with us! FIP promotes World Health Days organised by the WHO. We invite our members and pharmacists worldwide to join us in this awareness work. Be a catalyst for improvement and help to raise awareness on important topics! FIP also offers resources in a number of areas for which there are World Health Days. These resources are accessible by clicking on the links in the table below.